Eventually it starts to get really interesting, and that's usually at the point where a reader begins to discern between obvious interpretations and not-so-obvious ones. Those standard definitions, traditional insights and accepted meanings are readily available, stored right at the front of the mind, and so they become prosaic. They are important keystones but they lose their shine after a while, of course. The reader wants much more to play with and senses great untapped depths to discover. The reader wants to step out into the terrain and start searching under rocks and peering around corners. The reader wants to create an index of possibilities for each card and things get colourful, clever and creative at that point. There are so many different ways in which I've seen this happen. 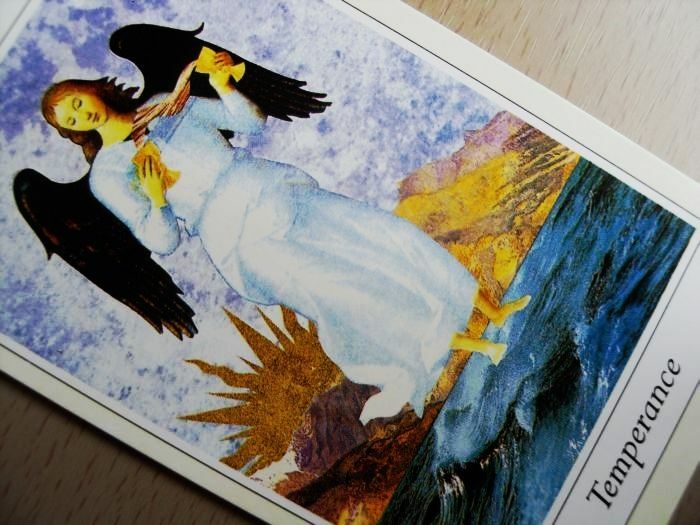 Anything from finding the perfect piece of poetry to describe each card to searching the depths of occult knowledge to unlock the possibilities of Tarot as a magickal tool.. Depending on the personal interests and outlooks of each reader, the exploration can go anywhere. One thing I never tire of is making fresh connections and adding new insights to my arsenal. A card is never entirely worked out or pinned down. There are always more subtle layers and nuances to uncover and appreciate. It's obvious that I'm still learning and growing - I never stop and so neither does my exploration of the tool. As I experience new trials and triumphs, meet new people and find myself in new places, the cards inform my journey and speak to me in different languages. The cards surprise me with faces and outfits I haven't seen before. As life illuminates me, I then cast that luminosity onto the deck and find that I see detail where it never seemed to exist before. A journey, a passion, an indisputable gift.